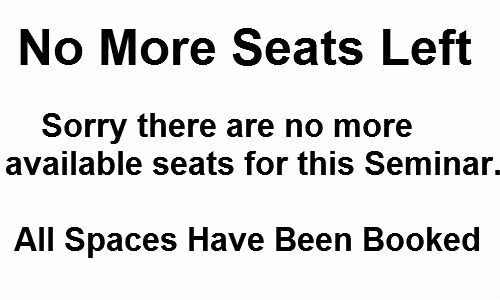 Sorry, No More Seats Left! Plz u guyz should increase d number of ur seats coz lagos has venue large enuf to accomodate pple… Cuz i ve seen ur seminar post but just got my full money nd was checkin to get d acct no wen i saw dat d seat r full haba! Nw. Sir pls am a bit confuse try explain beta 2 me firstly, i jos came across dis info n now i read that there is no more seat for pple who wants to attend d seminar then how do we go about it bcos am kin interested i wil b leaving kano to lagos jos 2 attend and now u said all seat are occupied pls reply what do i do? Secondly u said d online business bible is coming out in October 2011 but Here i read d testimony of pple who ve bought it.its sounds confusing pls reply 2 me n i want u 2 bliv me dat d more u delay dis reply d more u kill my interest.thanks n God bless.